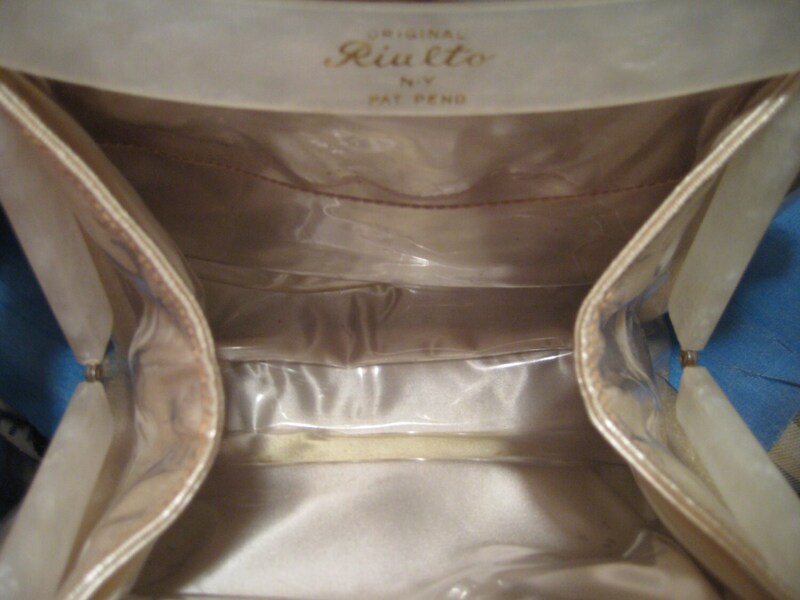 This vintage beauty by Rialto has an extraordinary flare! 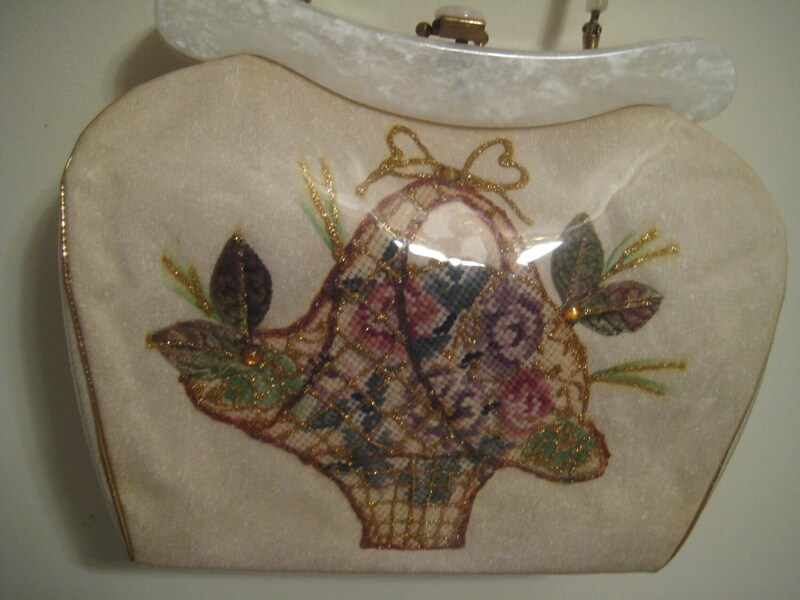 Front beige cover is adorned with an embroidered and applique flower basket. The entire body is covered in clear plastic with gold piping around the edges. 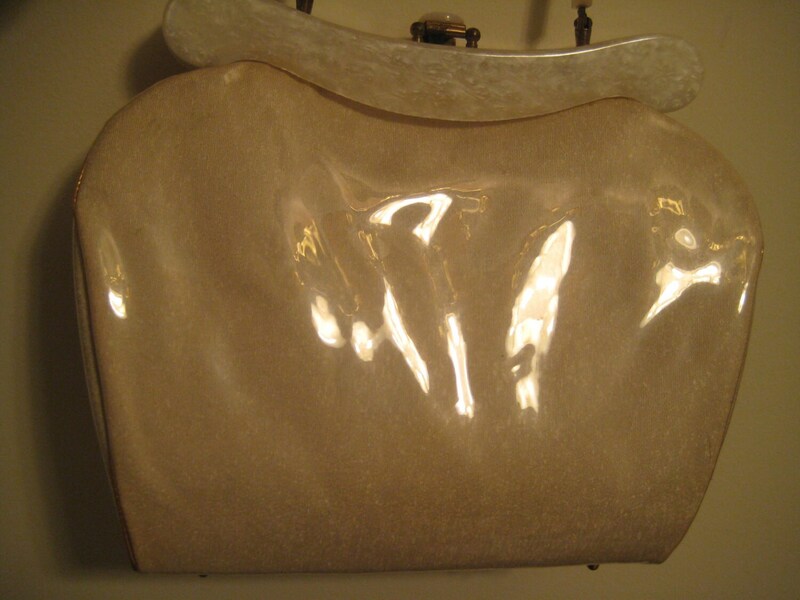 The frame is marble-look Lucite (maybe Bakolite because of the heft and this bag may be 40's). Matching Lucite handle with a 5.5 inch drop. 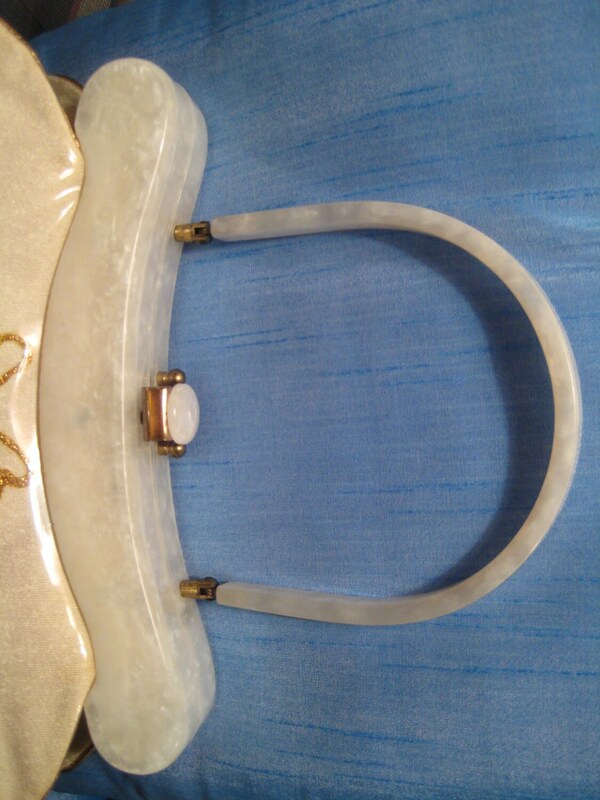 Lucite and gold tone metal catch. Metal grommet footings. Interior is in stellar shape! 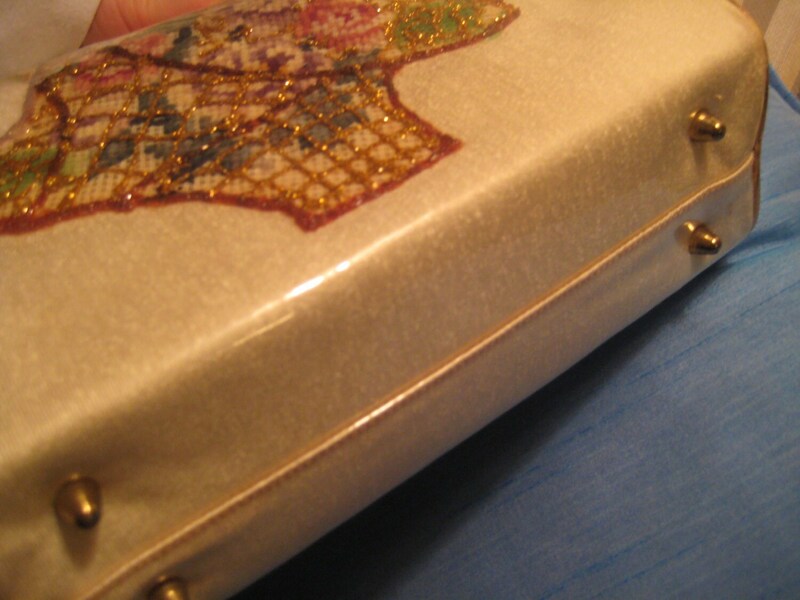 Plastic covered gold satin with one patch pocket. Deep and roomy inside. No picture can describe how special this vintage bag is in our collection and ready for a person who wants to make a statement. Dimensions: 10 inches tall x 12 inches wide x 3 inches deep at the maximum points.